Two most frequent questions about cryptocurrency are if it can be tracked and if it can be hacked. While the short answer on both of those questions is a direct ‘’no”, a more informed person will tell you that, as always, it depends. This is a short story to remind you that the risks are always there and to hopefully explain why you might need a reliable VPN for crypto wallet management and all cryptocurrency activities. A popular crypto wallet service for managing cryptocurrencies, MyEtherWallet, experienced a second security breach last year, the last one being in February when hackers took over $365.000 in value, and it has plunged users into a frenzy. Most people don’t realize that cryptocurrency is also a fiat currency, meaning that trust is one of the main components of its value. The main thing to know is that MyEtherWallet was not hacked, as the base service remained uncompromised. Cryptocurrency was stolen by hacking a free VPN that has been used by many MEW users, piggybacking on their devices to access their funds, which were subsequently stolen. MEW did warn its users about the possible hack of the free VPN provider Hola, using their add-on to Chrome. The system was compromised for over 5 hours, which was more than enough for hackers to find crypto wallet accounts and move the funds. Compared to premium VPN providers like Le VPN, Hola has much fewer servers and much less infrastructure to help secure your device from malicious involvement. Back in February, MEW was compromised by a DNS attack using Google’s service, which has placed a lot of doubt on the company’s ability to provide a safe service. Different from that attack, the current one has also shown the unreliability of free VPN services when it comes to securing your data, and your devices. This just added to a list of reasons why you shouldn’t use a free VPN service. Managing your cryptocurrency is the same as online banking, and you need a reliable VPN for crypto wallet management or you risk losing it all. There are many misconceptions when it comes to cryptocurrency security, and even more, if we were to include cybersecurity in general. Many people believe that their security is a task for someone else and that the fact that a company is reputable in some way absolves them from any responsibility for their own assets. For this, we refer to an old saying: ‘‘If you have something, someone will try to take it from you”. While cynical, this should be an axiom you will build your security around. While no one will hack an empty device, if you have a device with your personal information and access to financial accounts, this device needs to be secured with the same diligence as you would secure it if it were cash stored in your home. Although this hack on MEW does appear to come from a Russian IP address, not all entities that are after your information are crazed post-Soviet gopnik who are working for the Kremlin. Many times you will have individuals, organizations, companies, and even governments that will try to hack into your devices for a multitude of purposes, and they will more often than not gain access with your permission, knowingly or not. To secure your private information, you will need to add layers of security to all of your devices. 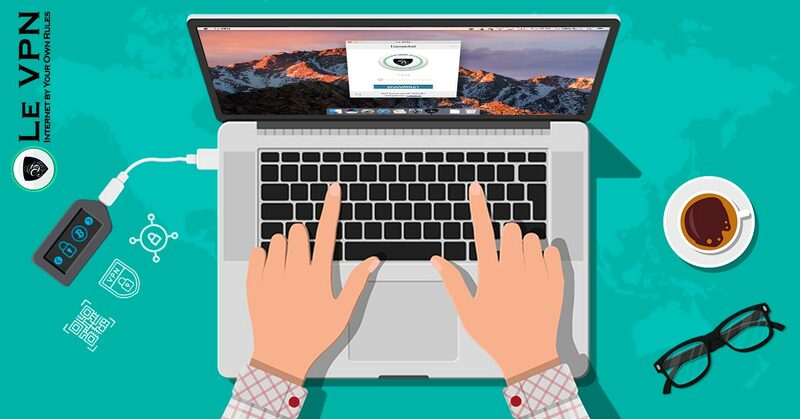 This means that you should make sure that your operating system is updated and has the most recent security protocols, that you have a good anti-virus and anti-spyware programs on all of your devices, and that you are connecting to the internet using a reputable and reliable VPN provider. Cybersecurity also includes your personal behavior online, as the human factor is the most common thing hackers and other malicious entities exploit. We all know about the Nigerian Prince, and the only reason that this obvious scam lasted for so long is that it provided results. Sometimes you will get emails and even phone calls, requesting your passwords and usernames, or some other personal information, that you will provide thinking that it was your bank, the police, or some other institution; where in truth it was someone trying to steal from you. Especially when dealing with your financial information, make sure that you are using passwords that are not being used anywhere else, that you have enabled 2-step security with your phone, and that you are not using a public connection, or a company phone to access your private information. Public Wi-Fi and company phones more often than not have some kind of monitoring, which can be used to collect your data and even infiltrate your device. When you have secured your data on your devices, you will need to protect your connection to the internet. Most cryptocurrency users know that they should always use a VPN when accessing their online wallet, but as the last hack has proven, this should never be an unreliable free VPN service, but rather a professional and reputable VPN provider that has multiple servers worldwide, and with the best possible security protocols to date. The argument for premium VPN services becomes apparent when you realize how much expert personnel and secure servers an excellent VPN service needs, which can’t come cheap. Companies like Le VPN also have a reputation to keep, as it is their job, meaning that they will never enter some backroom deals that might open their customers to danger. A VPN service is more or less a must when dealing with cryptocurrency, not only because of added anonymity but also because you can access networks that might be unreachable from your regular internet service provider (ISP). Premium VPN services also provide you with online security, identity protection, and disable other people from eavesdropping on your connection. What other reasons do you need to use a reputable paid VPN for crypto wallet transactions and activities? Finally, the latest breach of MEW shouldn’t scare you away from cryptocurrency altogether, and the fact that a free VPN service was hacked shouldn’t make you lose trust in VPN providers in general. 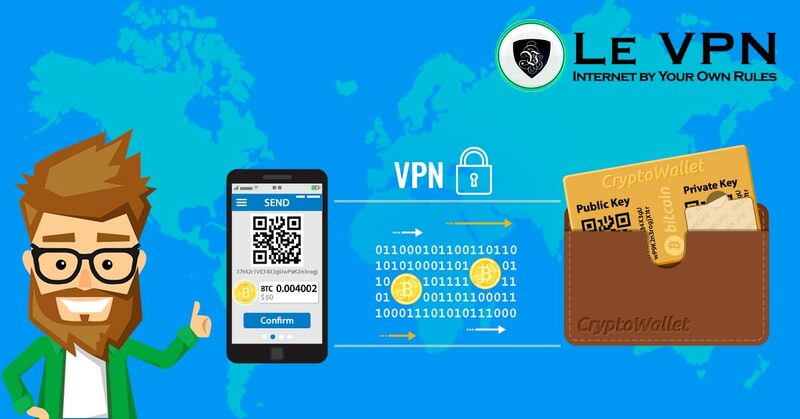 What you must do is research, so that you can know which Cryptocurrency managers are secure and reputable, and you must use a reliable VPN provider, such as Le VPN, for crypto wallet management and accessing all cryptocurrency services. A small investment in premium security will pay itself many times over in peace of mind.